Using Elastic Beanstalk is the easiest and fastest way to deploy an application on Amazon Web Services (AWS). It takes care of everything from spinning up EC2 instances, to setting up monitoring. All you need to do is pass it your application and a few details. By making things simple, there are a lot of (sensible) defaults under the hood that you may wish to change as you become more comfortable with AWS. A custom AMI is faster to spin up and more convenient to manage. The downside is that now you have to ensure the custom AMI is kept up to date with patches and the like, since Amazon is no longer looking after it for you. There are a few options to build a custom AMI. The easiest is to spin up a standard Amazon Elastic Beanstalk AMI, customise it, and then create the custom AMI from that. The process of finding the current Beanstalk AMI for your platform is a little round-about – Amazon suggests spinning up a Beanstalk, then checking the AMI used in the Beanstalk configuration page in the console. If you are familiar with the AWS CLI, one user has found a way to use that to find the latest AMI ID. 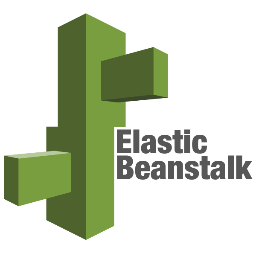 If you are using Linux, you can use any community AMI (Amazon Linux is recommended) and Elastic Beanstalk will attempt to install the required scripts automatically. Since installing the scripts adds to the start-up time, it is more efficient to get the current AMI and creating a custom AMI from that as described above. Once you have built a custom AMI, it can be used in an Elastic Beanstalk deployment. How the custom AMI is configured depends on your preferred Elastic Beanstalk launch method. When using the AWS Console to launch an Elastic Beanstalk, a custom AMI can only be set after the application has been deployed. Once the environment is running, select it in the Console and navigate to Configuration > Instances and then edit the Custom AMI ID. The application will then be redeployed on the defined AMI. When using an AWS SDK (or the API directly), the AMI ID can be passed in via the OptionSettings parameter while creating the environment. To do this, use the Namespace aws:autoscaling:launchconfiguration with the OptionName ImageId. The Value is the AMI ID. The same OptionSettings are used to pass through a wealth of other options when spinning up an Elastic Beanstalk environment, including settings such as the EC2 instance type, security groups, VPC and environment variables. The full list can be perused in the General Options documentation. Given the AWS API is at the heart of all interactions with AWS, the syntax is similar for the following methods. aws elasticbeanstalk create-environment --region us-west-2 --application-name my-app --environment-name my-env --version-label v1 --solution-stack-name "64bit Windows Server 2016 v1.2.0 running IIS 10.0" --option-settings Namespace=aws:autoscaling:launchconfiguration,OptionName=ImageId,Value="ami-xxxxxxx"
This method does mean the Image ID is saved as part of your application, which might be regarded as a pro or a con, depending on how you manage your application/deployments. Using a custom AMI is a great way of taking advantage of the Elastic Beanstalk deployment tools, while creating the exact environment needed for your application. As usual, AWS provides a plethora of ways of doing so which are covered in this post. Just remember, while using a custom AMI, keeping it up to date is your responsibility. Happy Beanstalking!